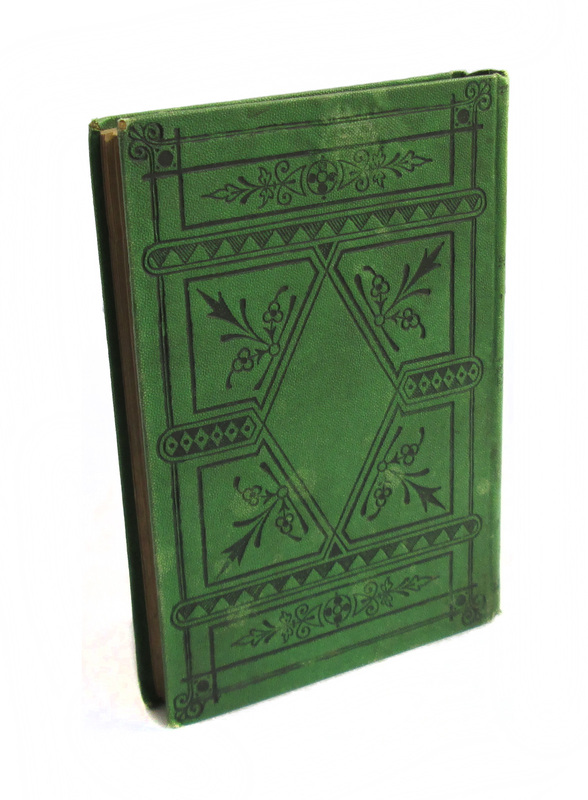 This antique hardcover book is bound in decorative green boards. The spine has bright gilt lettering, with black etched decorations. 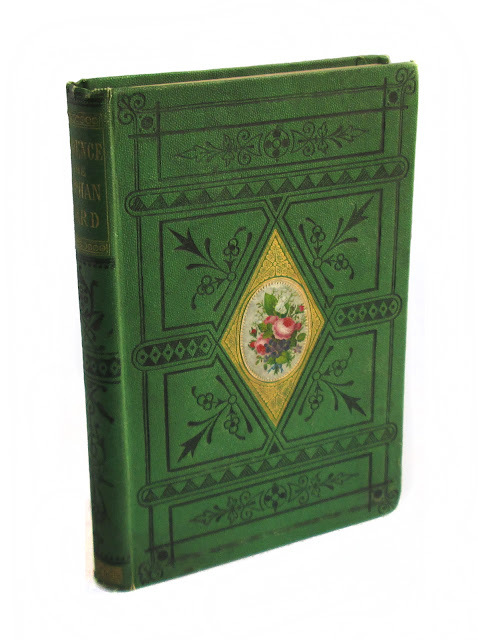 Black decorative pattern is repeated on cover, surrounding a gilt-trimmed oval-shaped paste-down illustration showing a bouquet of flowers. Frontispiece and title page are illustrated with scenes and images from the story. 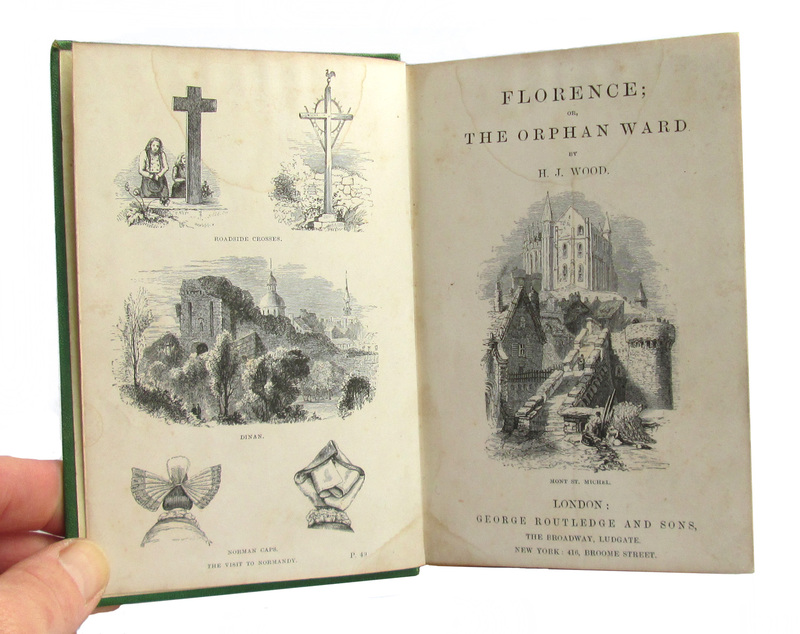 Cover and edge wear; Water stains, but most inner pages clean, though lightly browned. 146 pages, plus advertisements; approx. 4"x6".